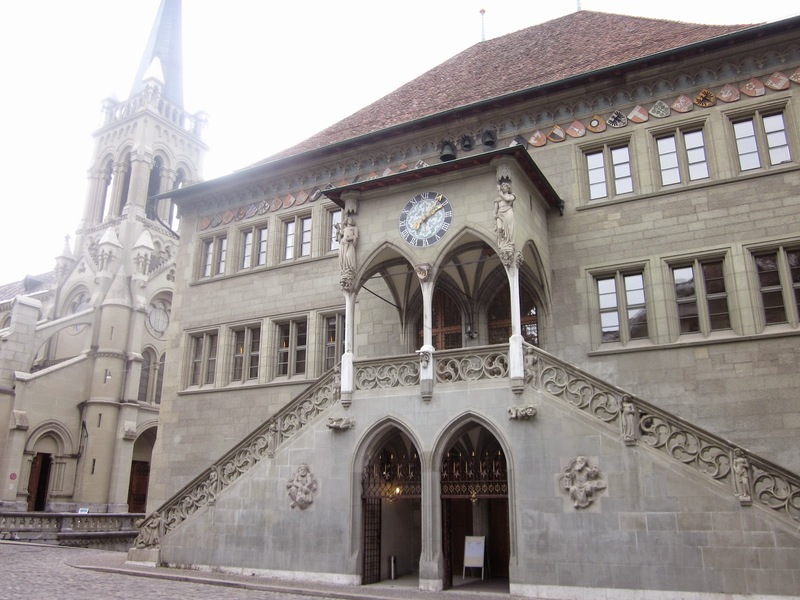 After little over an hour on the train from Lucerne [Read Here], my friend and I arrived in Bern, the capital of Switzerland! A second class one-way ticket costs CHF38 (purchased on the day of travel). The only tour offered by the tourist information center was an IPod audio tour for CHF18/person (available in English). Today I want to share some of the attractions that I visited on this self-guided tour. The Confoederatio Helvetica inscribed on the Parliament Building is Latin for the Swiss Confederation. This is the reason why Swiss websites end in .ch. We managed to arrive at the Clock Tower shortly before 11am, so we were able to admire all the movements when the hour hit. There is a tour available to ascend the tower and view its inner workings in the afternoon. Einstein once lived and taught in Bern. His former residence is now a dedicated museum, which unfortunately, was closed in January. Bern Minster, the tallest cathedral in Switzerland, was closed for renovations. The BearPark is home to the bears that are symbols of the city. Unfortunately, winter means hibernation for the bears and another sight that I missed. View of the city from the Rose Garden. Of course, there were no roses either. The view from our lunch spot at Altes Tramdepot. 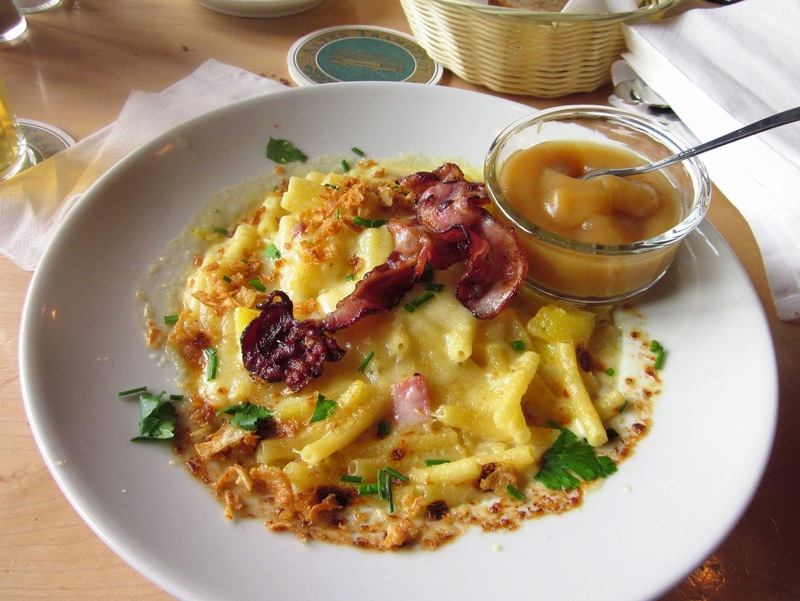 A delicious variation of mac & cheese! Bern Town Hall with the St. Peter and Paul Church on the left. 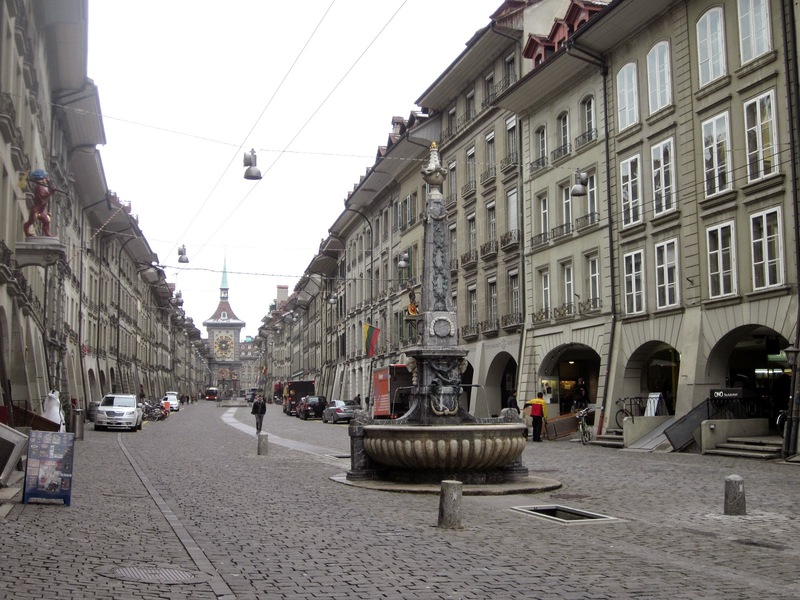 One of the main streets with ornate water fountains. I really like the arcades along the streets. There were two routes on the IPod tour, one from the main train station to the Rose Garden and a second one back to the train station. Some of the sights overlap and it took me 5 hours to complete both routes (the IPods were to be returned within 6 hours). I missed out on a few attractions due to the winter season, but I don't think I am fond enough of the city to return. On to Geneva!